Bind proposals and presentations in minutes, without using a machine. 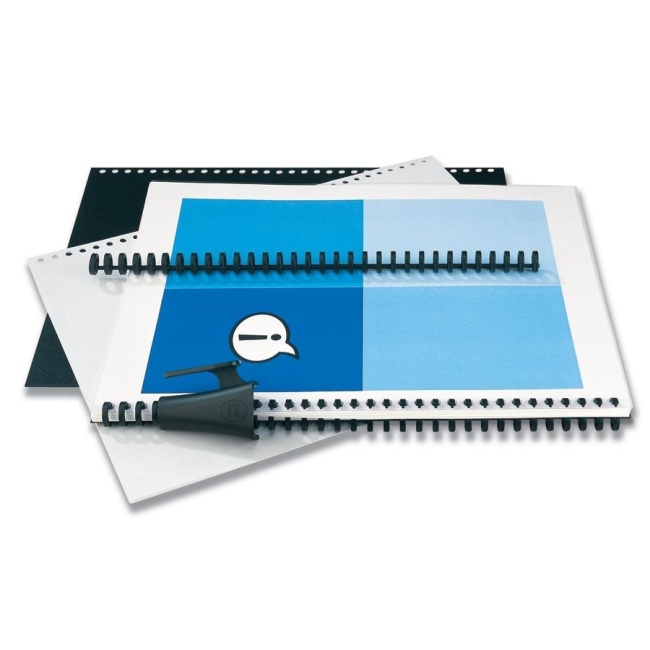 ProClick Do-It-Yourself Presentation Kit includes two ProClick spines, two sets of prepunched covers (clear and black), and 50 sheets of prepunched paper with 5/16" spines. The 5/16" spine holds 50 sheets.